The publication includes: explanations of approaches, addressed to teachers selected activities, resourced and ready for the classroom DVD with full publication as PDF for use on your school/college intranet plus some additional resources. Containing a wealth of interesting strategies for tackling many of the common issues, this publication will quickly become an indispensible toolkit in the English department and beyond. 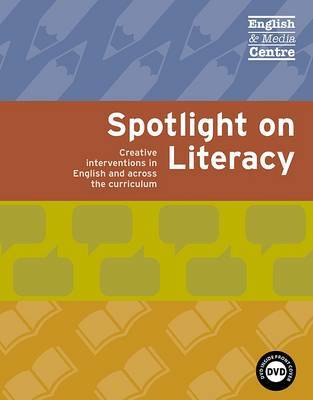 Over three hundred and fifty pages cover a wide range of issues including plenty of ideas for literacy across the curriculum. Basics such as handwriting or spelling, getting more enjoyment from reading, or careful listening are addressed in ways that really get pupils thinking about why these skills are important. Other activities provide accessible ways into more challenging areas, such as structuring a piece of writing, reading for inference or adapting spoken language to different audiences. Key aspects Intervention at all levels, not just for lower ability pupils. Strategies to use both in English and across the curriculum. 125-pages of teacher strategies. 192-pages of classroom ready materials.Approaches for one-to-one support, group work or whole class work on targeted areas. Explanations and CPD support for teachers, plus classroom resources.